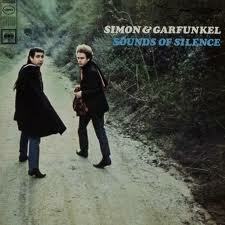 “Hello darkness my old friend ……..” is the opening line of Simon and Garfunkel’s famous song The Sound(s) of Silence.” I enjoyed listening to the duo’s music in the second half of the ‘60’s, as it appealed to my poetic sensitivities. Of course, the song title’s meaning for me has changed over the decades. The more I delve the depths of reality, the more I crave those sounds of silence, because that’s where it’s happening. That’s where the action is. Action in inaction? Sounds in silence? Yes, reality is full of paradoxes, but one thing is for sure: the volumes of information conveyed or found in the silence when you contemplate/meditate is astonishing and the ways in which truth (information) is communicated is unique to each person. There is a saying that meditation can’t be taught, but it can be learned. Though there are many different kinds of meditation, the method is only the tool, the map, to help the seeker reach those states of quiet. The silence and what is learned in the silence is the journey. It’s like walking a labyrinth. The path is set (in stone) but the journey is unique to each who walk it. 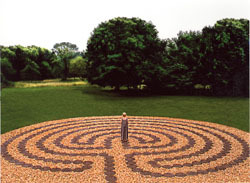 The first time I walked a labyrinth, which, by the way, is done in complete silence, I was astounded by the ‘impressions’ that were brought into my awareness. And each time I’ve walked a labyrinth, the journey has been different. When you chant the Omkara, which is simply chanting “OM” in repetition, you focus on two things. You can put your attention on the sound of the OM vibration, but things get much more interesting when you put your attention on the space between the OMs. In yoga, pranayama or breathing exercises also emphasize the interval between breaths as the more important place to be. Spiritual literature about this abounds. If interested, a couple of titles you should check out include: The Voice of the Silence by H.P. Blavatsky and the aforementioned Stillness Speaks by Eckhart Tolle. Both are excellent, though if you’re a beginner in these matters, I would start with Tolle’s book as Blavatsky’s is more esoteric.